Wading through traffic and rain after a long Friday at work , I was pleasantly surprised by the small package waiting for me on my table at home. 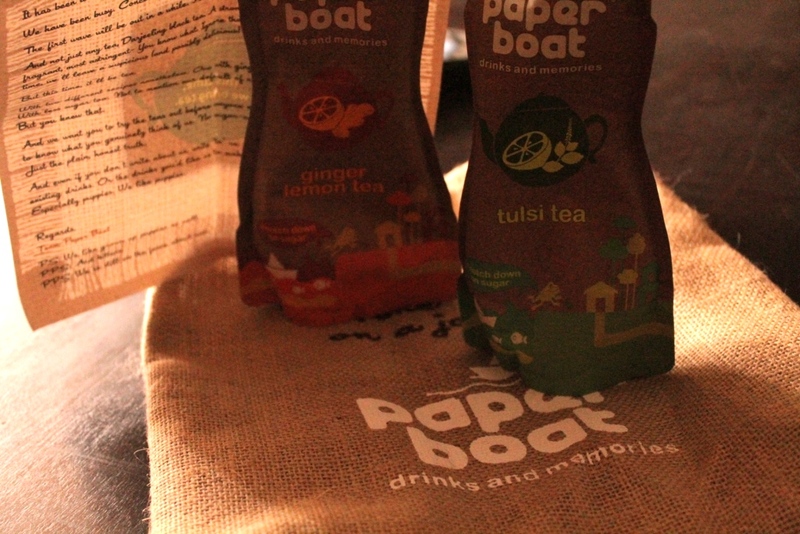 It was from the Paperboat team , and as promised , they did send me a pack of their newly launched range of teas for tasting. I was extremely excited about the whole deal. 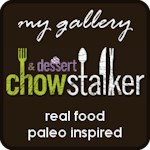 Trying new things are great fun. The new ranges are very unique and very true to the Paperboat style of mixing Local Indian influences and yet make them more appealing to the consumer. The current series of Tulsi tea and Ginger Lemon Tea come in a brown handy pack and a small note saying ” A notch down on Sugar”. My first impression of the package was Dull ( Atleast when compared to the earlier attractive packages of Aamras, Kokum etc) and if I had imagined it in a stack of other drinks I might not be too keen to pick this one up. It made me imagine if the drink would be as dull and not so peppy too. So I poured out the Tulsi Tea , I was simply amazed at how clear the drink was. You’ll notice this here. 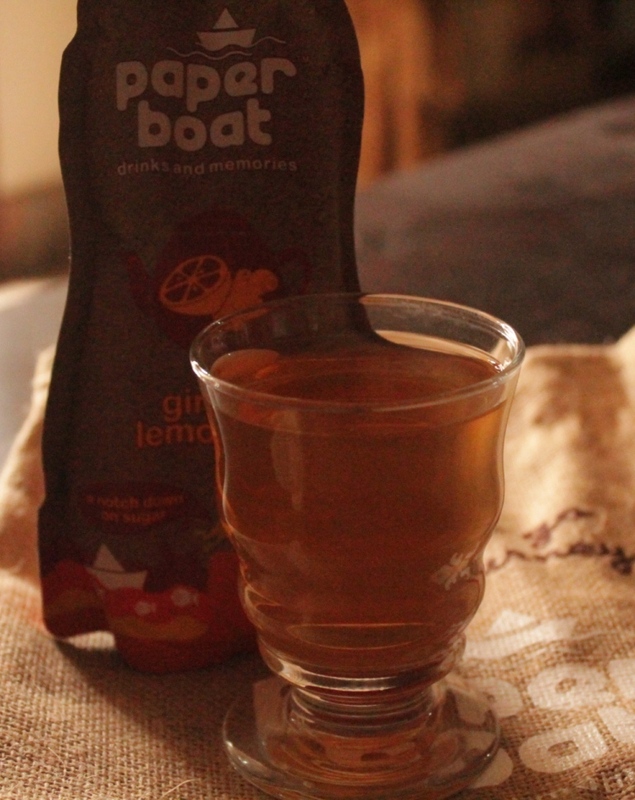 The drink is a pleasure to have and it does stand up tall to Paperboats claim for not using preservatives. I loved this drink. Much to my surprise , the sugar was also very restrained and had the perfect balance not to rob away the subtle taste of Tea and fresh Basil. This one is a current favourite and I can’t wait for it to hit to stands. The second in the series is the Ginger Lemon Tea. I love the combination of Ginger and Lemon..the very sound of these ingredients shout freshness to me. 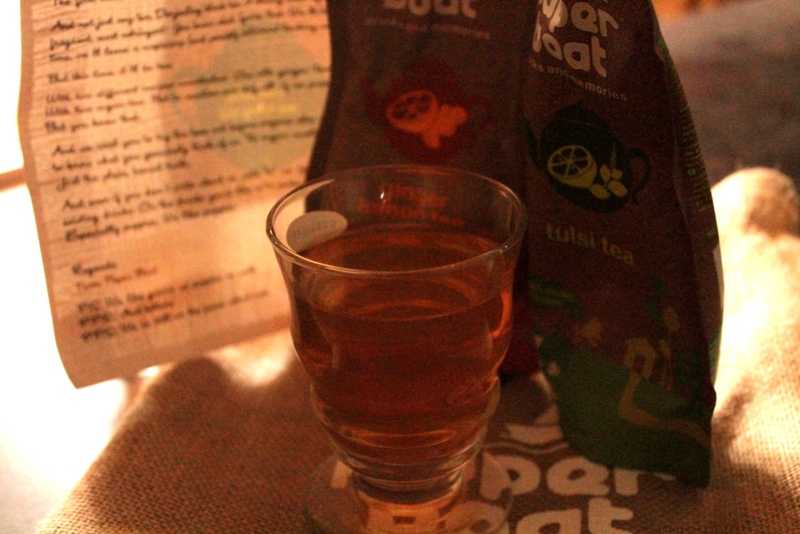 When I poured out the drink it wasnt as clear as the Tulsi tea and it was a little more dense. However the drink is also as fresh and definitely put a small smile on my face. 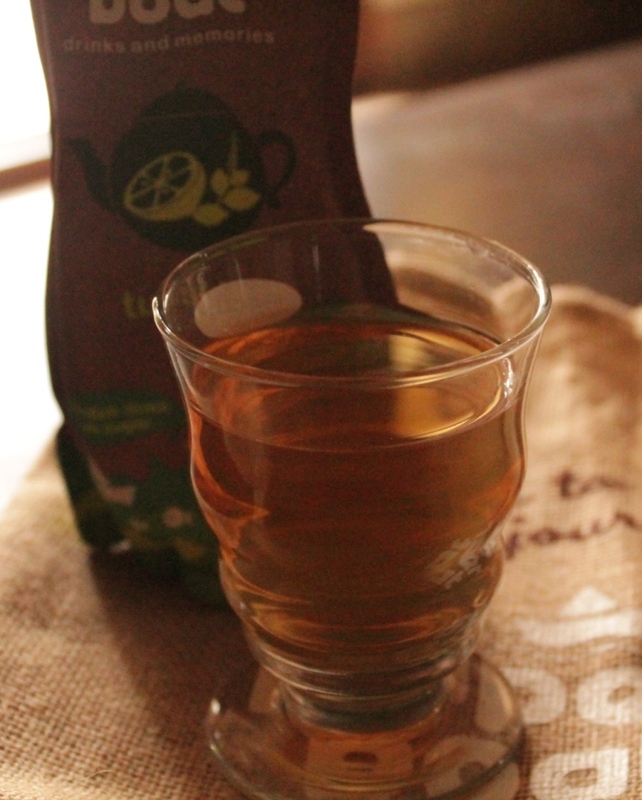 A dash of Ginger and Lemon with the fresnhess of Darjeeling Tea leaves , is a perfect drink for that sunny afternoon. Happy about the Ginger and Lemon Tea. P.S: I love puppies too..